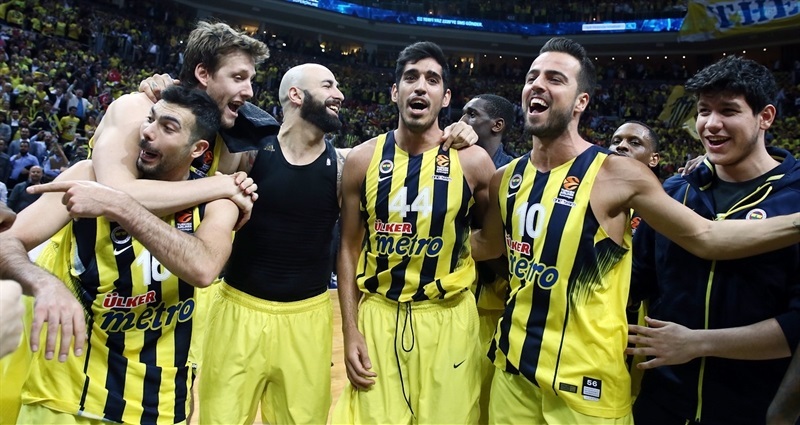 Fenerbahce Istanbul became the first team to advance to the 2017 Turkish Airlines EuroLeague Final Four, which will be held in its own city, by completing a playoff sweep of Panathinaikos Superfoods Athens with a 79-61 victory on Tuesday at Fenerbahce Ulker Sports Arena. 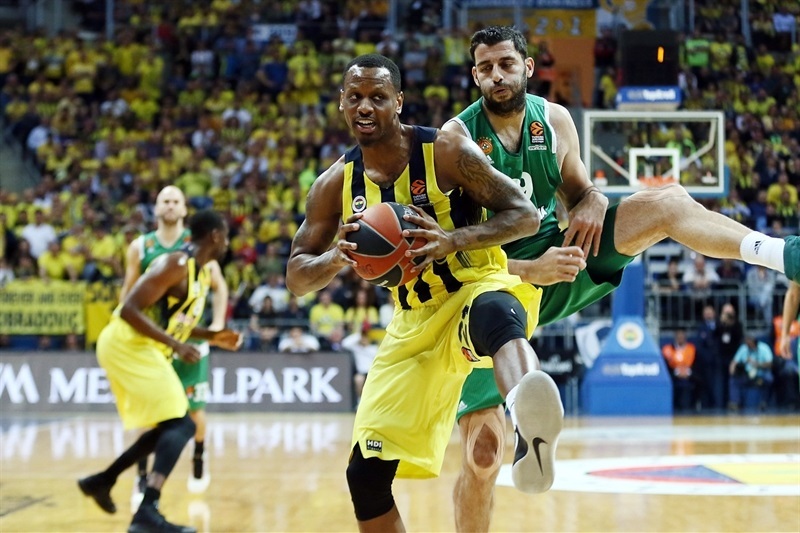 Fenerbahce used a balanced attack to reach its third Final Four in as many seasons. 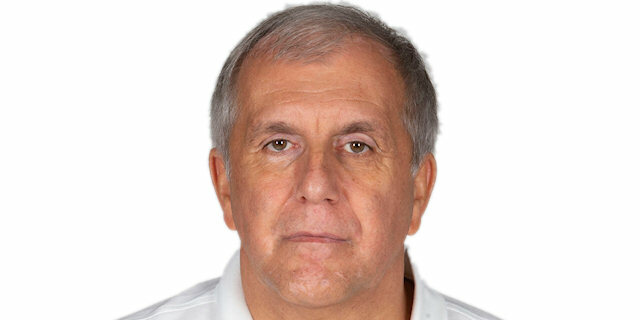 Coach Zeljko Obradovic’s side also became the first team to sweep a series in which it did not have home-court advantage as well as the first to sweep three consecutive playoff series. 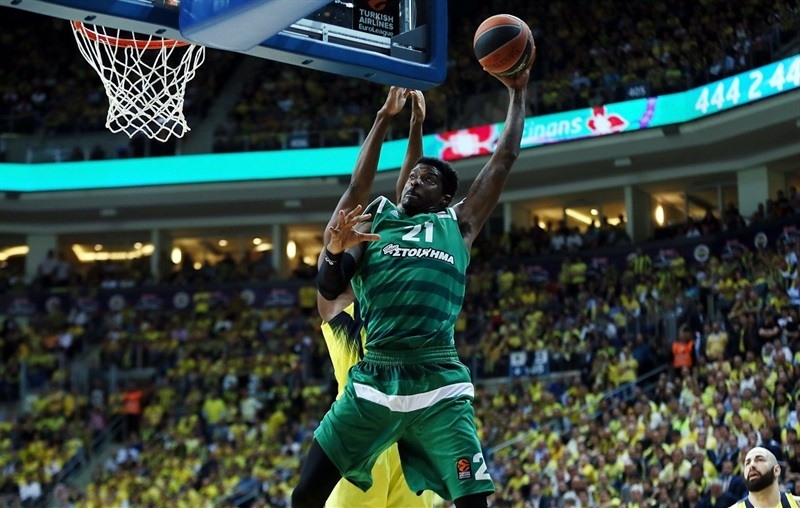 Bobby Dixon paced the winners with 13 points, James Nunnally scored 12 and Ekpe Udoh, Luigi Datome, Nikola Kalinic and Bogdan Bogdanovic netted 10 points apiece. 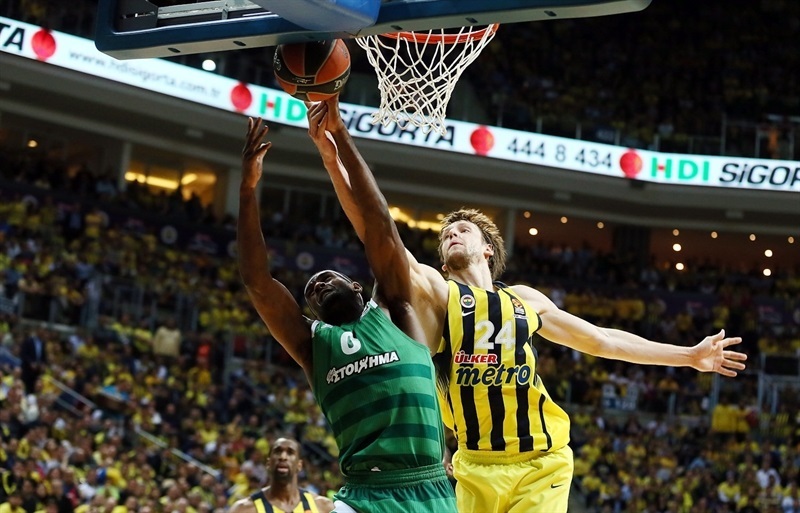 Udoh also collected 10 rebounds, while Jan Vesely anchored the defense with 4 blocked shots. 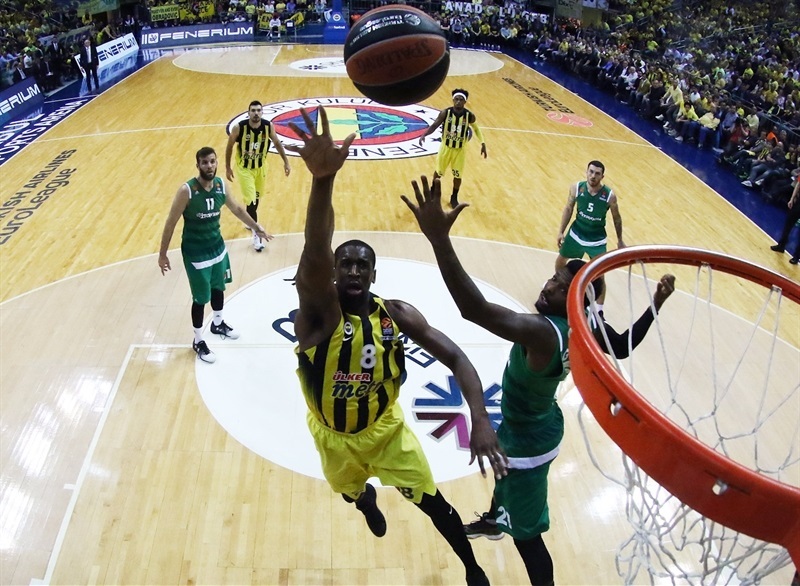 Fenerbahce outrebounded Panathinaikos 38-22 and held the visitors to 5-of-24 three-point shooting (20.8%), while making 13 of 27 shots from downtown (48.2%). 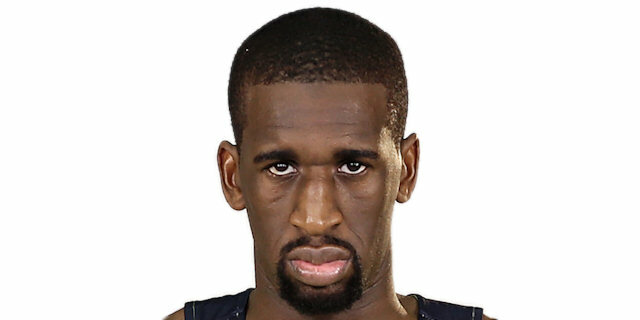 K.C. Rivers led the Greens with 16 points and Chris Singleton added 12 in defeat. 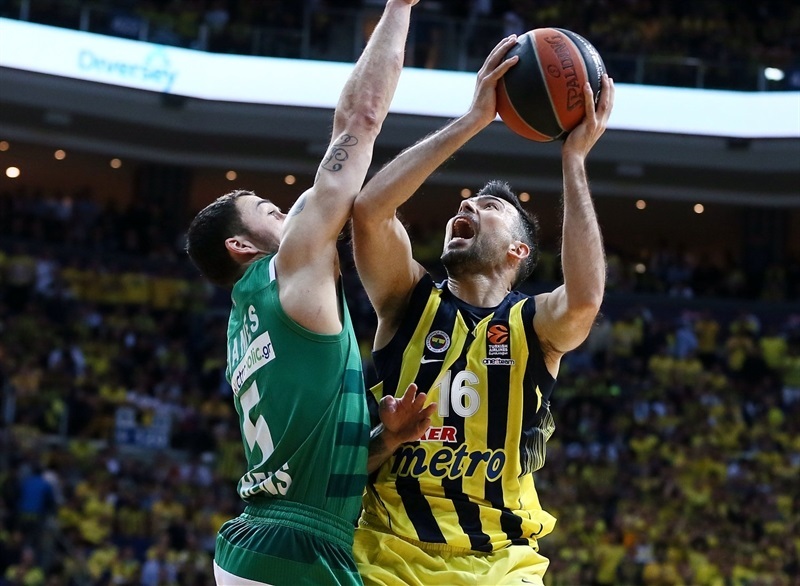 With their home court rocking, Fenerbahce got off to an ideal start with Datome hitting from downtown and Vesely converting a three-point play before Mike James got the visitors on the scoreboard. 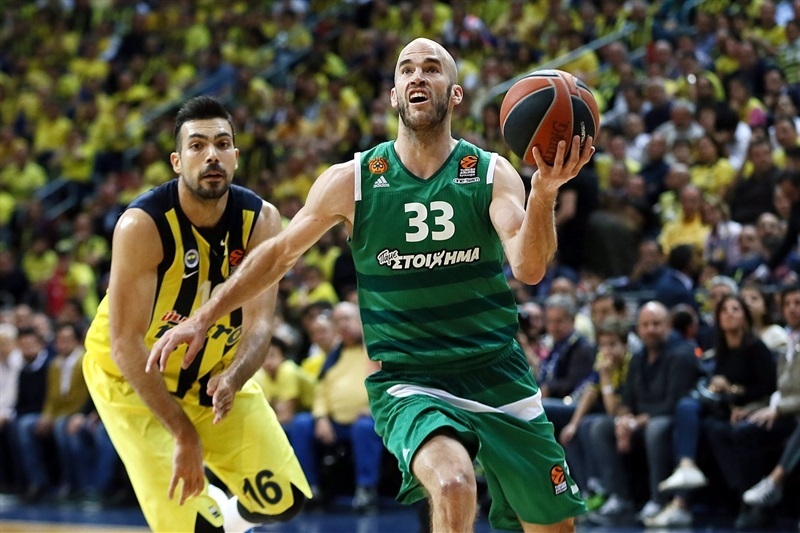 Nick Calathes stepped up with 5 points before Rivers connected from deep to cap a 0-8 run that gave Panathinaikos an 11-12 edge. The lead swung both ways over the next several minutes with Dixon playing a key role for the hosts and Singleton stepping up for the visitors. A Dixon free throw gave Fenerbahce an 18-17 edge after 10 minutes. James Feldeine sank a triple and added a steal and layup to start the second quarter brilliantly for the Greens. 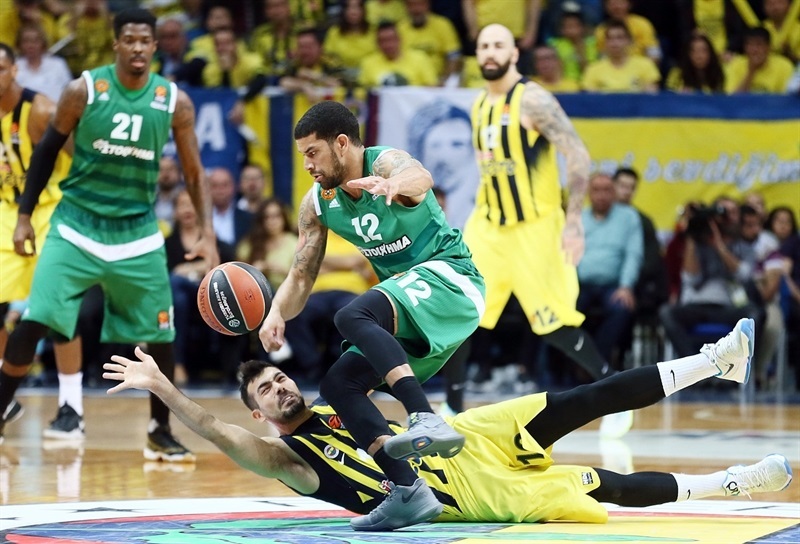 Fenerbahce regained the lead through a three from Dixon, but a pair of emphatic dunks from Kenny Gabriel and Mike James each put the visitors in front and showed Panathinaikos was up for the challenge. 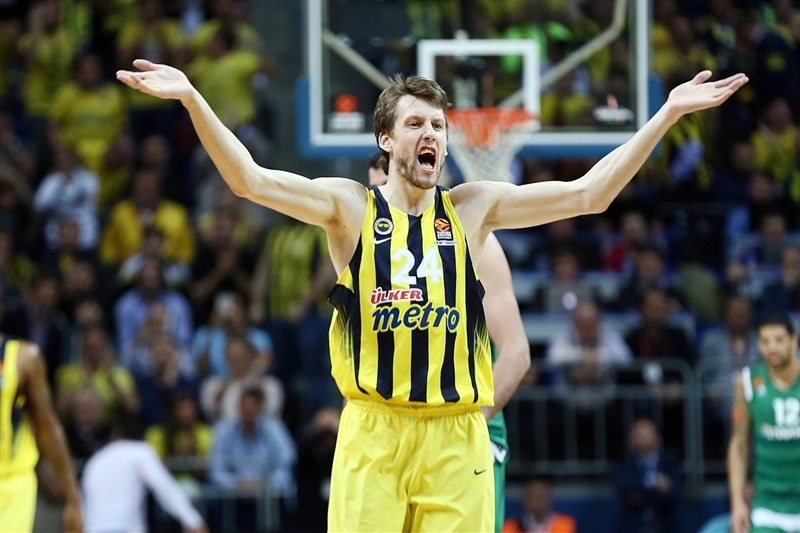 However free throws by Vesely and Udoh and a Nunnally triple made up a 7-0 run for a 32-26 Fenerbahce lead. The lead reached 9 before James’s floater drew Panathinaikos within 37-30 at the break. Just like at the start of the game, Datome started the second half with a three-pointer, which gave the hosts their first double-digit lead. 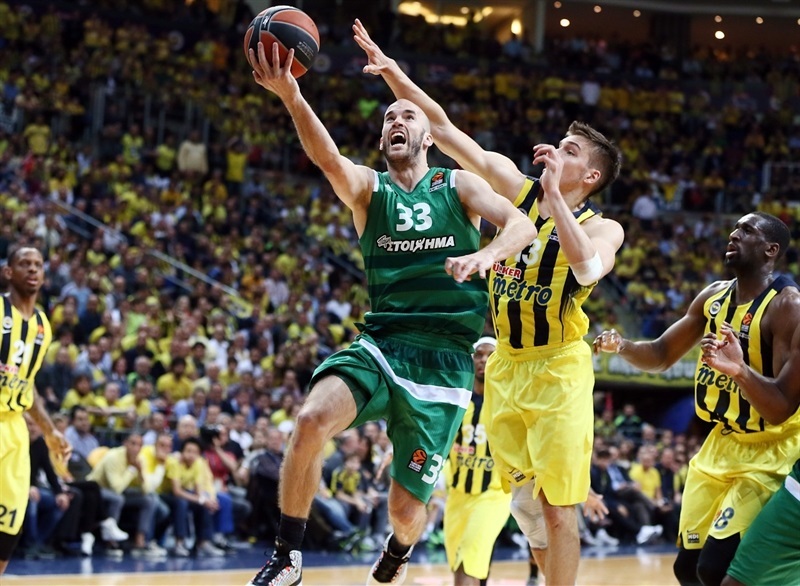 After Rivers hit from deep for the Greens, Bogdanovic scored his first points and Datome made it 44-33. 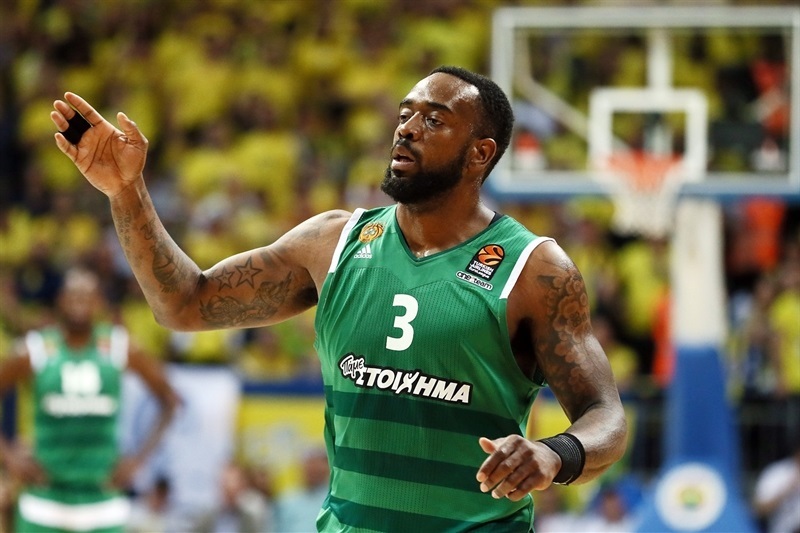 Panathinaikos regrouped on defense and held Fenerbahce scoreless for more than five minutes, but only scored 4 points in that stretch. 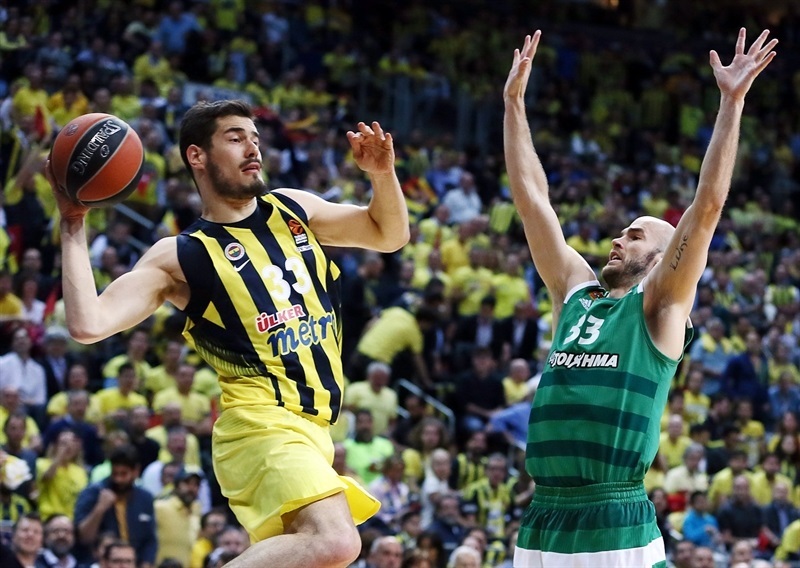 Kalinic ended the Fenerbahce drought with a three-pointer for a 47-37 advantage. The margin swelled to 12 through a basket-plus-foul from Sloukas before Rivers netted free throws to put 52-42 on the scoreboard at the end of the third quarter. Gist scored first in the fourth quarter, but Nunnally, Bogdanovic and Dixon hit consecutive triples to make it 63-44 as the hosts started to celebrate. The lead peaked at 23 down the stretch as Fenerbahce cruised the rest of the way before the celebrations began. "We played very good and very tough in Athens. We came here to play on our court. I was sure that Panathinaikos would play much better and they did in the first half. In the first half our biggest problem was our turnovers. In the third quarter we played much better and we decided the game. 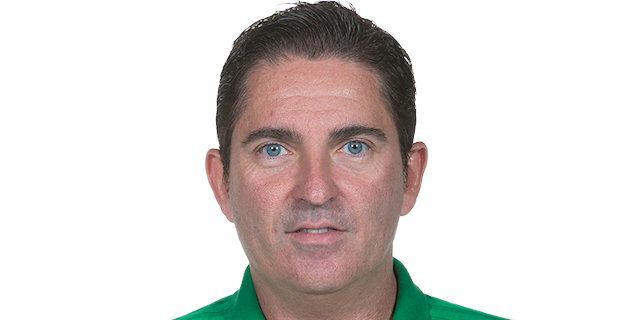 Thanks to my players for an excellent job. Thanks to the fans for creating an amazing atmosphere. Their support for us is very special. And of course best luck to Panathinaikos in the Greek championship. " "3-0 means that they played better than us. We finished the regular season very well by winning our last five games. We started the first game very well, but we lost our opportunity to be in the series by losing by 13. One team was in the right situation with a lot of confidence and the other team day by day played worse offensively. This is why the series finished 3-0. 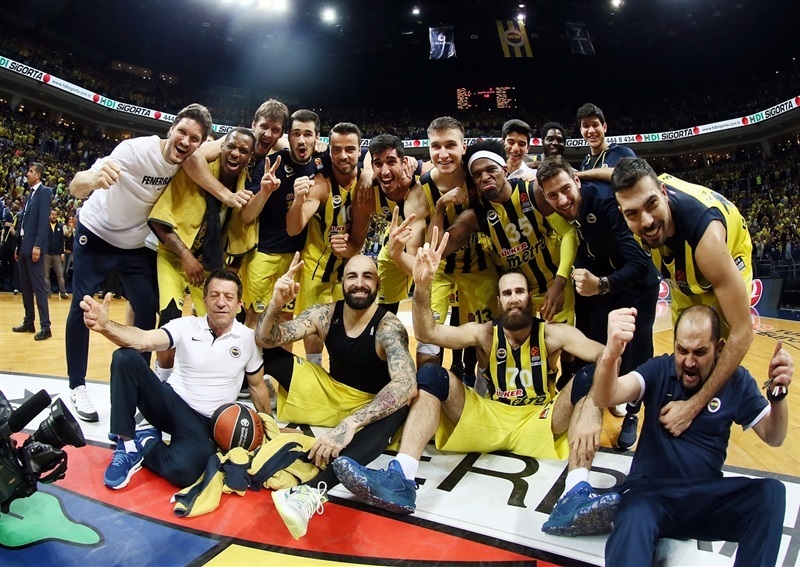 I want to wish the best to Fenerbahce for the Final Four. " "It feels great. That was the goal. That’s what we’re here for. We have two more games to win, but we have to continue to get better through the Turkish League. It always feels to win on front of your fans. It was worth it. Here we are. We’re right there. We’re ready. "